Watch this video to understand how much value you get for your child! Your investment includes the Soccer Skill Ball, but you also get a complete didactical program for FREE. Each exercise contains an in-depth explanation on how to perform the task and what you must pay attention to, either as a player or a parent. Shipping: 1 - 2 weeks, tracking available. Get the Soccer Skill Ball! We promise your boy or girl will achieve all soccer goals and will get the best out of his/her skills. Agility means readily able to move quickly and easily, lightness and swiftness of action. The Soccer Skill Ball exercises assure agile movement of the body. 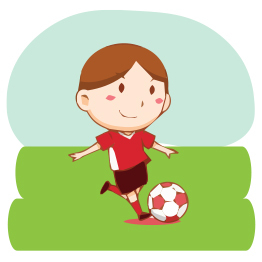 The workout of the Soccer Skill Ball will increase your kid's endurance level. Aerobically it is as effective as running or rope jumping but with added benefits. The running motion while training on the Soccer Skill Ball with its quick ball return, teaches the body to react to the stimulus in a similar manner as when in actual field play. 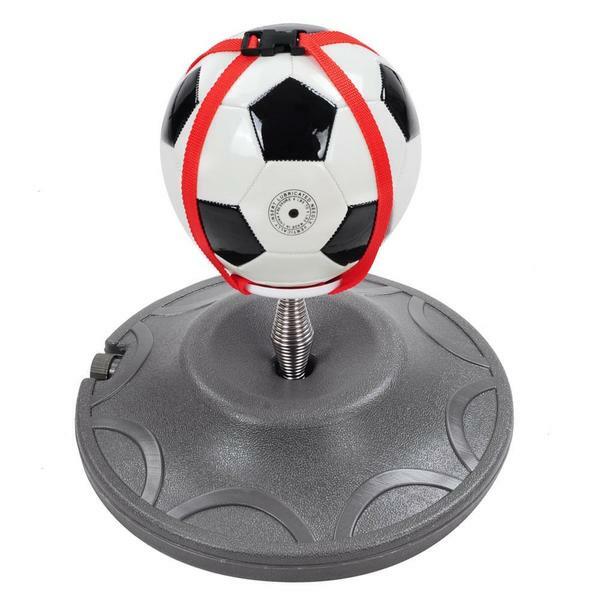 Due to the pendulum action of the Soccer Skill Ball, foot contact is made at bottom of the swing. In actual field play height of the ball could depending upon turf thickness. 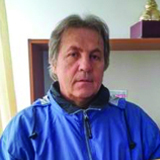 The idea of the Soccer Skill Ball is to unfold in the player a touch for the ball... an almost dance-like quality in handling the ball... the ability to handle the soccer ball effectively and with confidence. Just as a punching bag develops in a boxer timing for hands and arms, the Soccer Skill Ball develops timing for the feet and legs. Not only does Soccer Skill Ball helps your kid to keep from falling down so easily, it also helps develop a great balance in the ability to use both feet to play. Often a seemingly good player will be using one foot to make most of his soccer moves, Soccer Skill Ball will help in gaining equal dexterity in both feet. The repeated rapping of the feet against the Soccer Skill Ball at various positions actually toughens the tendons and ligaments in the feet. The legs will gain in strength to become powerful. Peripheral vision is being able to see what is going on around beyond what your kid is actually focusing on. 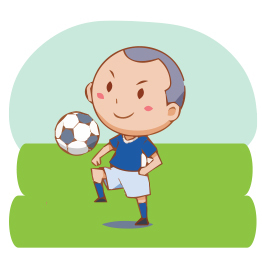 He/She will be able to look over the field of play after consistent training on the Soccer Skill Ball, thanks to being very familiar with the feel of the soccer ball at the feet. 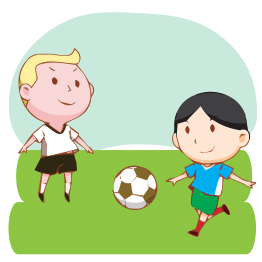 Your kid will be aware of what is going on around you while still controlling the ball. Many sports-related injuries are due to poor flexibility. Use of a wide variety of the Soccer Skill Ball exercises will condition and stretch the necessary muscles that are required for many soccer moves. For example, the inside thigh, outside thigh, the calf and ankle muscles will benefit. Develops autonomous, self-regulated learning. Improves perception, coordination, timing, attention, and concentration (rhythm influences cognitive aptitude). Forms the correct body positions for soccer and prevents the development of postural problems, chronic injuries. Increases sensitivity to acoustic signals (sonification, the sound of the touch of the ball). Trains players’ kinesthetic ability (millions of touches of the ball). Perfects ambidextrous performance (two-footed player). Makes mastery and control of the ball better thanks to repetition with greater precision in moving with and touches to the ball. Develops learning by appreciating the importance of rhythm when learning new skills. Improves each gesture and movement by understanding it better. Thanks for giving my son such an amazing, positive experience. I don't really have words for the level of gratitude I have for you. Noah was levitating with joy. He kept saying "Oh my God, that was So Fun! That was Awesome!" Soccer Skill Ball is a game changer for a lot of kids out there aiming to become the world's next Messi or Ronaldo. We got the Skill Ball to help my daughter with her kicking skills, and she loves it. Her overall coordination and skills have improved by 100% due to this amazing product! Let your kid try The Soccer Skill Ball for 30 days and if it doesn’t work for you, you’ll get your money back! There’s absolutely no-risk in giving it a try. No questions asked, you can get your money back! 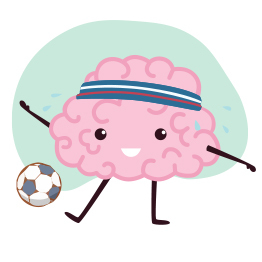 Practicing with Skill Ball is also useful for anticipating (and therefore preventing) “brain shutdown”. A certain number of exercises are based on the construction of new neuronal pathways to ensure that the learning process is optimal and to improve physical and mental performance. Get Now This Amazing Product! The Skill Ball is much more than a soccer training ball. The Skill Ball is NEURO STRATEGY. Our Skill Ball drills respect many biomechanical, kinesiological, neurophysiological and cognitive neurological best practices. This is a complete soccer partner that allows improving your kid's soccer skills and becoming two-footed. With Skill Ball, your kid trains the brain, not just some muscles. This thesis developed within the Department of Psychology of Lund University (Sweden) provides evidence that four weeks of synchronized metronome training improved the participant’s motor timing and synchronization abilities, and showed influence on skill performance in soccer players. 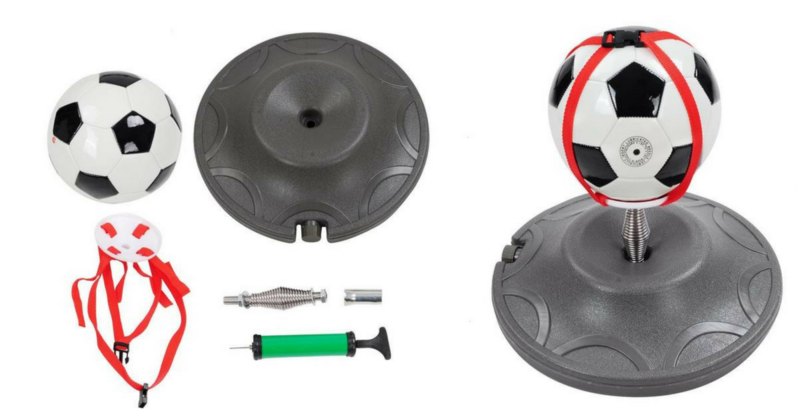 Skill Ball will improve soccer and school performances. Repetition of specific soccer movements with our scientific insights will install the correct information in your kid's brain. In addition to the sports aspect, it should be noted that the practice with Skill Ball, within our research, we have seen on average children’s results at school had improved by 30%. Players’ bilateral (left/right) activity is optimized by using Skill Ball as it enables them to perform, either alone or in a group (therefore rhythmically), various different exercises. The basic principle is to constantly alternate between left and right foot, thus ensuring myelination (the recording of information in the long-term memory). The practice of Skill Ball enables developing specific skills for soccer, reacting more quickly and gaining in rhythm. Our experience enables us to note that young players love training with the Skill Ball. Traditional warm-ups, that they usually find boring, can be advantageously accompanied or substituted by a Skill Ball session. After fifteen minutes’ practice, they will already have touched the ball between 1,000 and 1,500 times. It improves the performance of all children by making their leg movements quicker and more varied. There is nothing sadder than seeing your child wanting to play soccer when he/she can't. But don't worry, we got this covered also. For numerous cases of injury, the player can keep his muscles toned and refine his technique, indoors or outdoors, with less risk of aggravating his injury. All these benefits are obtained thanks to the Skill Ball and by doing online exercises to which your kid has access automatically when you get the Skill Ball.